Anniina Sandberg is the founder of Visit Natives which promotes sustainable indigenous tourism with respect for local culture and the environment. 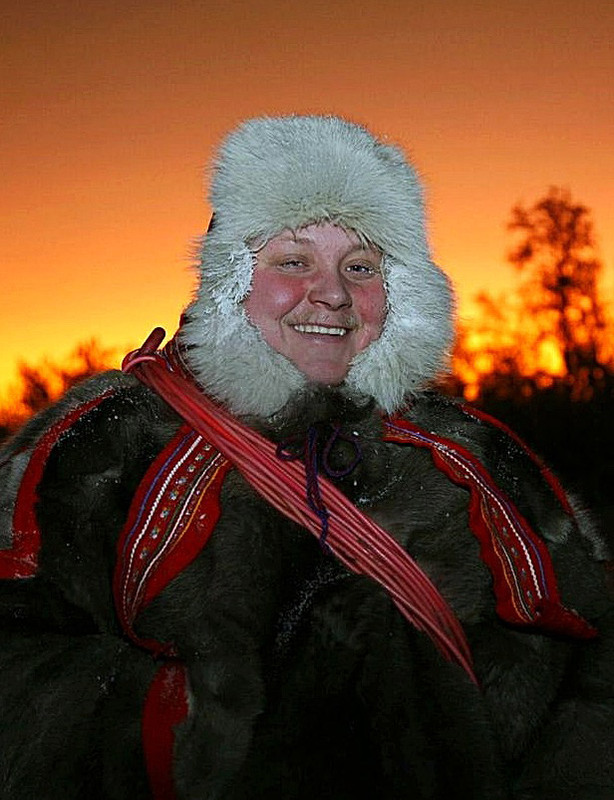 Travelers booking her tours experience the daily lives of Sami people and explore the Arctic nature. 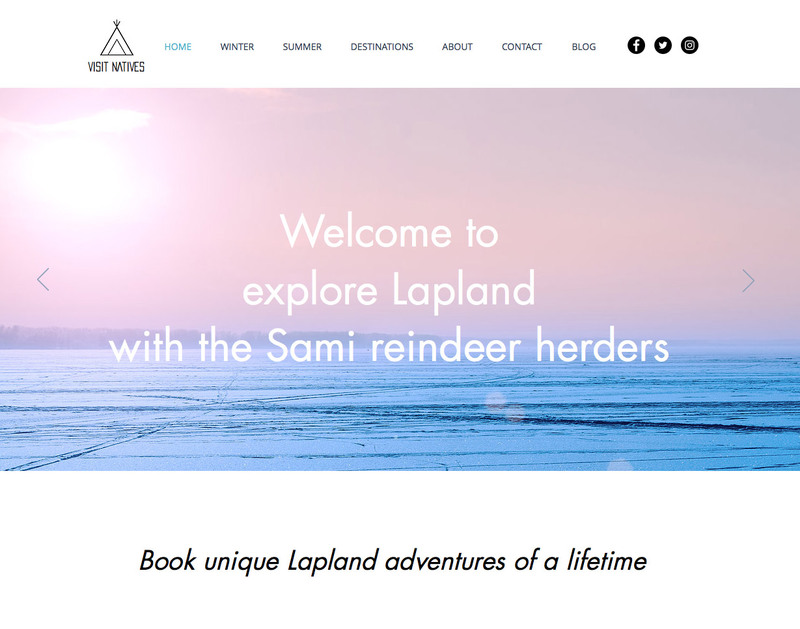 Her company offers offer authentic Lapland tours with a blend of traditional and modern Sami culture. • What were Anniias reasons to start a sustainable travel business? • Where does she sees the benefits of sustainable travel? • Which are her biggest challenges to overcome? • What feedback does she get from the indigenous people? • Does her business have positive or negative impact on the indigenous people? • Does this kind of business cause problems with the locals? • What type of tourists book her sustainable tours? What gave you the idea to start the business? I have a MA in African studies and I also studied anthropology in the university of Helsinki, so I have always had a strong interest in indigenous peoples and world cultures. When I was studying at the university I wanted to learn to speak Swahili so I went to Tanzania for 9 months. I ended up doing voluntary work for local pastoralists human right organization called Ilaramatak-lorkonerei which is a membership Pastoralists Development Institute whose purpose is to facilitate and promote the transformation of pastoral Maasai people from subsistence economy to long-term sustainable and diverse economic production systems. It also promotes and uplifts the cultural and self-identity as well as determination of pastoral indigenous people of eastern Africa. Later, I also conducted anthropological fieldwork among the Maasai for my thesis. I stayed and lived among the Maasai whole period in their traditional kraals known as bomas, I participated in every day life of the Maasai women such as collecting firewood, fetching water, milking cows and goats, constructing traditional dwellings, participating in their feasts and ceremonies etc. This experience was my best travel and cultural experience and so pivotal for me. Ever since, I have always missed similar experiences with the indigenous peoples. People can learn so much from them, as the indigenous peoples are often the nature’s best stewards as they live in such a beautiful balance with the nature. For western cultures, nature and humans are separated from each other but for indigenous people nature and humans are the same. After graduating I worked as a researcher and in other positions, but I really wanted to work with indigenous people. Then I had this idea, that I would create my dream job by myself and I wanted to promote and create sustainable indigenous tourism in my own and neighboring countries, where the Sami people live. They are the EU’s only indigenous people. So I traveled to Sapmi (traditional land of the Sami in the Arctic circle) and started to make contacts with the Sami and this is how Visit Natives started. What are the benefits of travel sustainable? Sustainable indigenous tourism has social, cultural, economic and environmental impacts on indigenous peoples life. For the Sami people, sustainable indigenous tourism helps them to maintain their cultural heritage and traditional lifestyle as reindeer herders, allows them to enjoy greater economic benefits and additional income, helps them to maintain the next generation in rural areas instead of encouraging them to migrate to towns and cities, and it will empower them to control the use of natural recourses and promote environmental sustainability in their traditional Sapmi land (in the most Northern parts of Finland, Sweden and Norway). I think it takes time to find the right target group and key customers who want to experience and support sustainable indigenous tourism. The travel market in Lapland is highly competitive. How is the feedback from the Sami? The Sami have been very supportive and we work with the Sami in three countries. Sustainable indigenous tourism has many positive impacts and benefits for them which are not often considered in travel market in general. So sustainable indigenous tourism is very welcomed in the Arctic circle. Does tourism change their way of life – in a positive and/or a negative way? The change is inevitable. 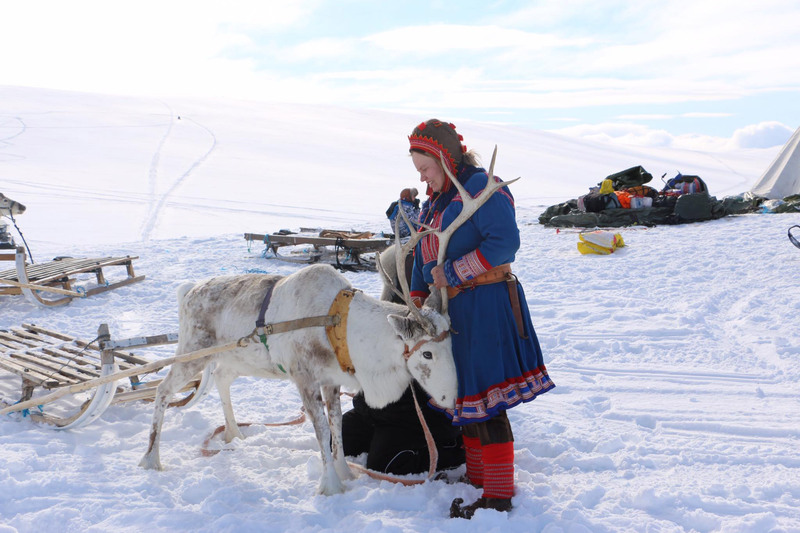 The Sami are facing many challenges and they struggle with issues of climate change, extractive industries like mining, dealing with mining industry, land rights, and maintaining their culture and traditional practices. Sustainable indigenous tourism give them more chances to have positive impact in their life, and let the world know about their struggle and issues which they confront. Does involving tourists in their everyday life cause problems? Travelers have been very happy to be involved in their every day life. Also for the Sami, it is enjoyable to present their traditional and modern life. There have not been any problems. Sometimes travelers can find it challenging to go out in very cold temperatures or to experience the polar night (as there is no sun) but this is part of the experience. What kind of tourists do you have? Our customers are mainly people who seek cultural and nature oriented experiences. They want to see the real Lapland and explore the Sami culture. They are adventurous and environmentally concerned people. Lapland is experiencing a record-breaking travel boom in Finland, Sweden and Norway. My wishes and hopes for the future is that the fragile Arctic environment is respected and tourism is more sustainable. The Sami live on the frontline of climate change in an Arctic landscape which is highly sensitive to climatic variables. The growing mass tourism in Lapland can harm the environment which is a crucial part of the Sami peoples livelihood. Growing mass tourism and extractive industries can harm the environment and the traditional life of Sami reindeer herders. Sustainability is the key answer to the environment friendly tourism. We wish that through sustainable indigenous tourism we can raise awareness about global warming and the other harmful effects composed to the Arctic environment and to Sami people to whom Arctic environment is vital.